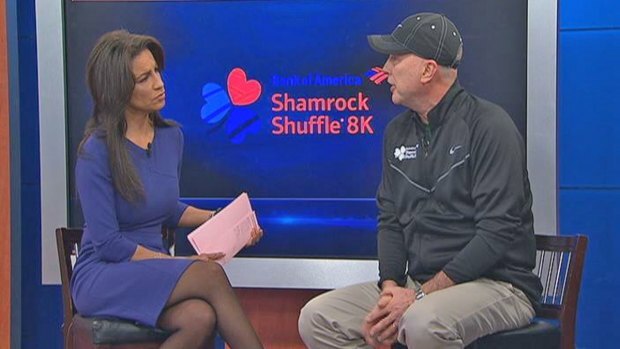 A new year is upon us, and a new running season is fast approaching with the March 29 Shamrock Shuffle marking the unofficial start of the season in Chicago. To make sure you’re in good running shape for the race that kicks off all other races, use these tips as a runner’s guide to goal-setting in 2015. “Run more” or “run a race” may work as starting points for running goals, but in order to be truly successful, try to make your goals clear. For example, write down “Run four days per week” or “run the Bank of America Shamrock Shuffle,” and keep an eye on that list every day. Whether you’ve never worn a pair of running shoes or have qualified for the Boston Marathon for 20 straight years, having a specific goal can help you make the most out of your year in running. Race director Carey Pinkowski explains what participants need to know about the event that kicks off the running season in Chicago. Setting realistic goals also makes a big difference in whether you’ll accomplish what you set out to achieve. Take a look at your current level of fitness in relation to the specific goals you set. If you’ve spent the past few months training for distance with long, easy runs, you may not be in the best shape to PR your 5K right now. Of course, that doesn’t mean you can’t set a new PR later in the year, but knowing where you are in this moment will help you set an appropriate timeline to reach your goals. What do you need to change about your current training regimen to reach your goals? Do you need to build your endurance? Up your speed? Stay uninjured? Whatever you hope to do in 2015, someone else has likely had that same goal in the past. Running books, running store staff, local training groups and even Google can be invaluable to you as you fill in your training calendar. Research training methods and plans and find one that fits your current level of fitness and your life. Run. Cross train. Rest. Repeat. You can have the fanciest running log, the best training plan, the newest GPS watch and the most expensive shoes, but ultimately, you need to train to reach your goals. Stick to your plan while listening to your body. Remember to cross train using lower impact workouts like cycling or swimming and strength building exercises to help keep injuries away, and respect your rest days. With hard work, dedication and smart training, you can make 2015 the year you accomplish all your running goals. Bethany Stripp is a local runner and the editor-in-chief of Chicago Athlete magazine.